in chains would find her space here. Remember the awesome bus movie Journey, starring Anjali and Sharwanand? Expect something similar from the sequel to Madurai ai??i?? 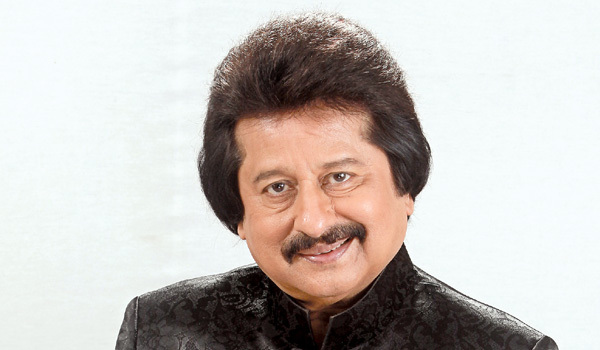 Theni Vazhi Aandipatty from the neighbouring Kollywood. A delightful little film, it is centred on romance during a bus journey. But the sequel has quite a few changes. For one, itai??i? ?s SPS Guhan, the producer-cinematographer of the earlier film, who helms the sequel. The lead pair is a fresh one. Says Guhan, ai?? ?Except for the bus journey, which this time takes a return route, the plot and characters are unconnected to the earlier one.ai??i??ai??i?? Will it also delight the Tollywood audiences like Journey did? Going by the films she has to offer this year, it seems like Nayanthara is all set to consolidate her position as the top heroine of South screens. After Maya and Kashmora, the actor will be seen in yet another Kollywood horror movie Dora. And there is the psychological thriller Kolaiyuthir Kaalam again Tamil. Meanwhile, in her upcoming Tamil projects she will be playing a district collector in Aramm, and as a cop in the crime-thriller Imaikka Nodigal. Varied themes and roles will re-establish her credentials as a performer. Looks like she will continue to rule both Telugu and Tamil film industries in the years to come. Is there a single day in any year when the world celebrates one festival, with one mood and marks an event like we do ai??i?? as the New Yearai??i? ?s Eve? As humankindai??i? ?s biggest tradition, we mark our lists of resolutions ai??i?? a youthful faith that life can be willed, that destiny is in our hands, and we can, each one of us, make ourselves better ai??i?? with decisions to change things about ourselves, our lives, our bodies, our habits, and our pursuits. a personal sphere, families, can make joint resolutions to make their commitment stronger, and working together, we have better chances of transforming our deep urges into reality. With greater accountability, and an additional push, our resolves more likely to fructify. We can easily imagine offices abuzz with collective resolutions ai??i?? 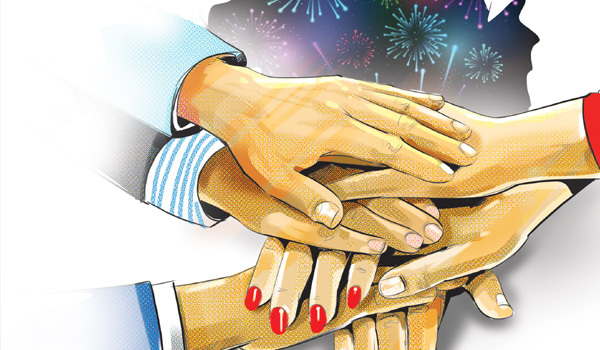 like a formal oath for a new year, at a large group, small team or even corporate-level commitment. For a cleaner office, a healthier lifestyle and culture of fitness, a resolve to never break a traffic law or abet drunken driving amongst our peers ai??i?? office oaths, or family resolutions ai??i?? printed, written, and pasted on our walls and public spaces can take us a longer way to sticking to our view that life can be improved. Since a larger part of our lives are increasingly being spent at work, with colleagues and at our work spaces, it is a good approach that we invest our resolves there, and augment our will power with the power of social scrutiny. This year, let us better the world, and our work groups, with collective resolve. Then even in failure, we will be together in effort. TAILPIECE: The trend is important for us to build the new country we want to build ai??i?? what we can resolve together and achieve at schools and colleges, homes and offices today, we can tomorrow extend to city, state, region or nation. Itai??i? ?s time to put all the ai?? ?make your resolution and donai??i? ?t break itai??i?? apps to good use. 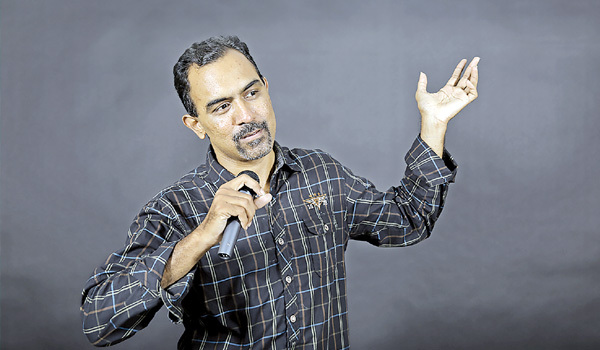 SHARAD Devarajan is a rock star in the Indian comic book world. Heai??i? ?s likely to make the covers of magazines for his entrepreneurial prowess soon. Until then, the superheroes from his company Graphic India are making it to bookshelves ai??i?? and digital devices ai??i?? around the globe. 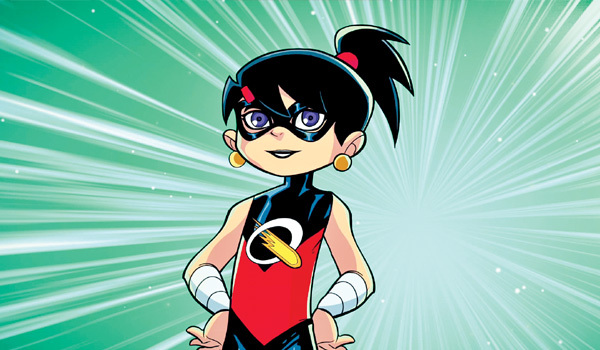 Graphic India has now introduced Mighty Girl, to join their superhero Chakra The Invincible, the star of a web series and a 2013 animated TV film. Mighty Girl starts out as Leela, Chakraai??i? ?s best friend, and one of few people who know his secret identity, before she gains superpowers to become Mumbaiai??i? ?s newest super-heroine. The decisive factor for Sharadai??i? 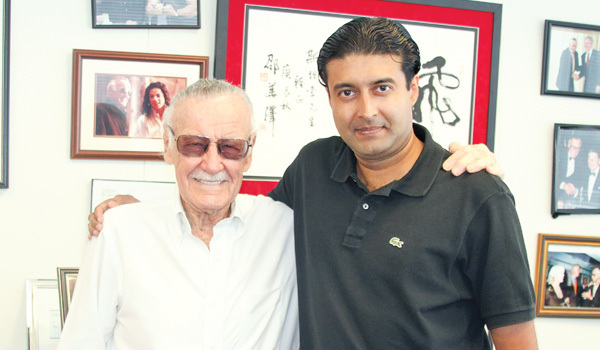 ?s success was a tie-up with former chief of Marvel Comics, Stan Lee, who helped create the story, along with the designer Jeevan J Kang. ai?? ?Working with Stan is like creating a painting with Da Vinci or a poem with Shakespeare,ai??? enthuses Sharad. ai???Heai??i? ?s the ultimate ai?? ?black beltai??i?? master of superhero storytelling. I bet more people recognise Spider-Man than Mona Lisa.ai??? ai?? ?We donai??i? ?t see ourselves as people in the ai?? ?comic bookai??i?? or ai???televisionai??i?? business, we see ourselves as people in the ai???storytellingai??i?? business,ai??? offers Sharad, adding, ai?? ?There has never been a better time for us, with so many ways to bring stories to a global interconnected digital world.ai??? The plans for Chakra are extensive. ai?? ?In the same way that people donai??i? ?t think of Spider-Man as just a comic book, or Harry Potter as just a book, we look at Chakra as a story that can expand beyond the printed page or the animated series, and exist across TV, film, games, animation, comics, digital content and consumer products,ai??? says Sharad. These plans will be executed over the next few years. ai?? ?Indian youth are one of the largest and fastest growing audiences, with more than 600 million consumers under the age of 25, and more than 900 million mobile phone users,ai??? notes Sharad. ai?? ?Character entertainment in India has only scratched the surface,ai??? he adds. ai?? ?The next JK Rowling, Spielberg or Stan Lee is sitting somewhere in India, and our responsibility is to find these talents, nurture them and give them the resources and belief to take their ideas to the world,ai??? proclaims Sharad. The Chakra comics were created in collaboration with Leeai??i? ?s production house, POW! Entertainment, along with The Worldai??i? ?s Largest Lesson initiative, supported by GEMS Education and UNICEF. ai?? ?We want the stories to be fun, but still deliver important themes,ai??? offers Sharad. In one story, for instance, Chakra switches minds with Leela for a day, and while Leela gets to fly off with his powers, Chakra experiences some of the inequalities faced by girls, thereby learning to be a better hero. Chakraai??i? ?s adventures are also set to be in an upcoming film, directed by Vikra -maditya Motwane. ai?? ?What makes Chakra special is that it tells the story of this generation, the story of globalisation,ai??? says Sharad. ai?? ?The concept of an Indian boy who wears a technologically enhanced suit that activates the mythical chakras bridging science and spirituality,ai??? he adds. thus, attempt to retain a larger world view. When friends Prem, Rahul, Ayush and Saikrishna, who like to be known by their first names alone, brainstormed about their dream food startup in early February 2016 at their regular hangout spot ai??i?? Makers of Milkshakes outlet at Kharkhana ai??i?? they made a list of foods that are sought by the younger generation. Basically all things sweet, cheesy, greasy and quick. Then with a vengeance, they put them all in one menu to launch their new and stylish place called Urban Eatery. Expect noodles, momos, shawarma, fusion dosas and milkshakes in the lineup. That they opened this one-floor, barely 600-sq feet space bang in the middle of Habsiguda which boasts of a multitude of dining options shows that the four 20-plussers are super confident of their venture. ai?? ?Urban Eatery is a bit like a drive-in concept, without the road and parking space of course. Here we have the best of what the collegians and IT crowd (Genpact is in the vicinity) love, curated under one roof,ai??? says Sai. The restaurant features four franchisees ai??i?? Makers of Milkshakes, Aaha Dosa, Sultanai??i? ?s Wrap and Noodles & Rice. 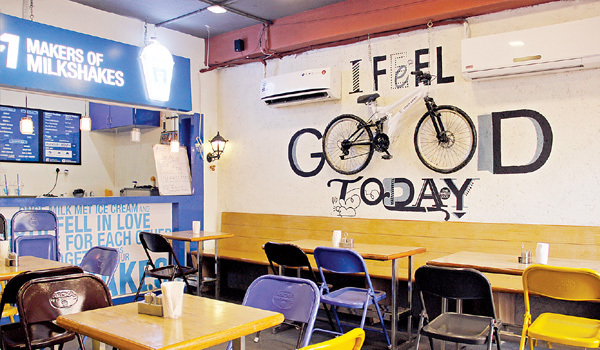 Opened two weeks ago, the place flaunts quirky interiors with a bicycle mounted on a wall, silhouettes of Harley Davidson bikes painted on the others besides chairs in metallic yellow and brown and a lounge space for a private party. The best spot, however, is the little outdoor space with a shack-like feel. The interiors are done up using ropes (tied across horizontal metallic poles in a zig-zag fashion) and wooden benches. Ayush, who owns Sultanai??i? ?s Wrap and has introduced shawarma to the upmarket Habsiguda says,ai?? ?He quit IT firm ADP to follow his passion. Whatai??i? ?s their background like? ai???Eating,ai??? quip Sai and Ayush. This pan-India chain which started its first outlet in Chennai in 2015 is all set to organise campaigns for cycling enthusiasts apart from rustling up unique cafAi?? combinations, like Kuzhi Paniyaram with bacon strips. A joint venture of Tube Investment (TI) Cycles of India and Absolute Speciality, there is more to its name (pronounced ai???chee-klohai??i??). ai?? ?The etymology of Ciclo comes from both Spanish and Italian countries that are associated with cycling in a big way,ai??? informs Ashish R Thadani, chief executive officer, TI Absolute Concepts. The two-storied building in yellow is reminiscent of a laid-back European holiday villa. The 12,000 square feet space is decorated with chandeliers and clocks, designed from the recycled parts of a cycle, be it forks, rims and saddles. 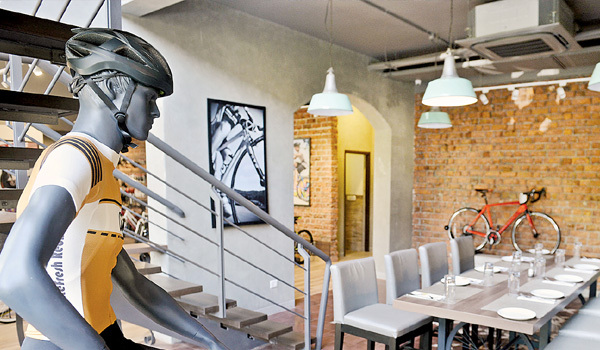 The first floor is dedicated to bicycles that patrons can rent or buy. ai?? ?We stock five kinds of bikes: road bikes, mountain bikes, hybrids, foldies and BMX,ai??? saysAi??Jila. The first floor is dedicated to the bicycles that start from around `5,000 and goAi? ?up to `8 lakh. The highlight of their collection, however, is the one which was used in Tour de France by Kenny Dehaes of the Lotto Soudal team and is for `8 lakh. The second floor has a shelf stocked with books about cycling trivia. With laidback cozy sofas and an area with open French windows, the setting could be ideal for a winter morning breakfast outing. The team of chefs have come up with a menu to cater to all tastes. Besides breakfast staples like waffles, pancakes and Eggs Benedict, the menu also boasts of Middle-Eastern dishes like Shakshouka (a dish of eggs cooked with tomatoes with a hint of cumin) and Mexican speciality Huevos Rancheros (a breakfast dish consisting of eggs). Chef MrinmoyAcharrya, says, ai?? ?No matter what dish we serve, we make it a point to source the ingredients from their places of origin. For instance, if itai??i? ?s a dish comprising Goan sausages, we source it from there.ai???Ai?? The outlet aims to provide a pan-India reach, hence the variety in cuisine. Dishes like Ciclo Hot Mini Idli platter, Karari Roomali Roti (a crisp and buttered variation of roomali roti) are a few of the culinary surprises in store. We tasted the Mini Bombay Vada Pav with Teekha chutney; the pav was crisp and delicately buttered. Next came the Black Pepper and Chilli Rubbed Chicken accompanied with potato wedges, carrots beans and cilantro cream that could very well be an entire meal in itself. Ciclo also has an elaborate cocktail menu and all their drinks are made of fresh juices sans any reserves. The Cranberry and Rosemary smash and Peach and Ginger Collins are absolute must-trys. Known for their party wear, couture creators Dimple Mehta and Amrin Bilakhia from Mumbai have now found their way into the closets of fashionable folks across the country. 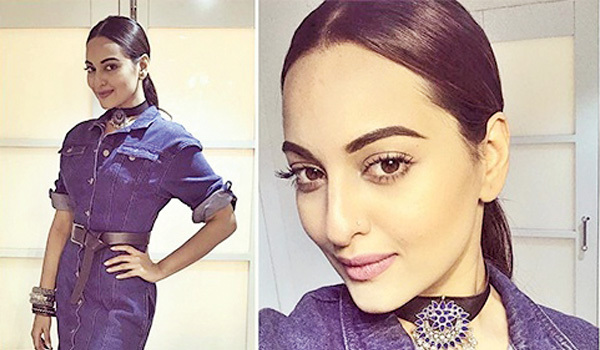 Spotted on the likes of Vidya Balan, Sana Khan, Neeti Mohan and so on, their prA?t and couture collection that features intricate weaves has a strong following. Their luxe label, DNA Closet,Ai? ?which started in 2015 will be available online startingAi? ?January 15. Since Mehta was born and brought up in London and Antwerp before she moved to Mumbai eight years ago and Bilakhia studied in Parsons Paris, the ensembles have a distinct European vibe. Talking about collaboration, Mehta says, ai?? ?Amrin and I hit it off after a chance meetingAi? ?two years ago. 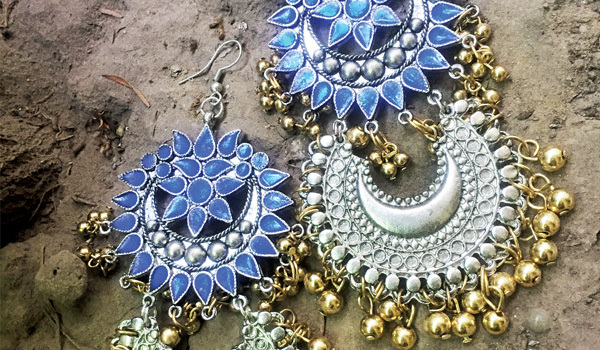 We had some great ideas about showcasing Indian workmanship to a wider audience through modern-western silhouettes,ai??? says the 42-year-old, who had studied graphic design but always knew that fashion was her true calling. With the wedding season upon us, the Mumbai-based duo has come up with contemporary apparels with a touch of Indian. The ensembles available online from their Autumn/Winter collection called ai?? ?Fall Fantasyai??i?? incorporate their cocktail gowns with straight cuts, trails and draping work. Some of the ensembles also flaunt a dash of shimmer keeping in mind that ai?? ?it is a global trend, especially on the red carpetai???.Ai??ai?? ?Fashionistas in Hyderabad can also expect a selection of bodycon dresses,Ai? ?jacquard skirts and pants in pastels which can be easily matched with multiple pieces,ai?? ?says Mehta, adding that she wants her patrons to opt for the DIY-route and create their own look. ai?? ?We are in talks with boutiques in the city to retail our prA?t line to there soon,ai?? ?she says. The fabrics are a mix and match of cashmere, lace, chiffon with chikankari, zardozi and mirror work that adds to the traditional feel. ai?? ?From ready to wear to couture ai??i?? all under one website,ai??? informs Mehta, adding that the label has even come up with bespoke made to order facilities provided for those customers who demand that perfect fit. The colour palette comprises rich metallic, ivory, black as well as a generous range of pastels. Hyderabadis bid adieu to 2016 with aplomb. Reservations were made and the wardrobe was set, well in advance. Many of the socialites were spotted at the Bang Bang New Yearai??i? ?s eve bash hosted by Anup Chandak, Sikander Daredia, Brij Bhutada and Rajeev Doshi at Novotel. The music got the revellers in the mood to dance sans inhibitions. First up was live music by Arun Gattu, followed Ai? ?DJs Harry and Navi Ahuja taking charge of the console. Also spotted at the do were, Koyal Chandak, Sonal Doshi and Shahee.As always, Secunderabad Club turned out to be a popular hotspot for ushering in 2017. Popular faces of the social circuit, Sabiha Ali, Shalini and Trushna Tibrewala were seen dancing with their partners into the wee hours. Block 22 at Hitech City Road was packed with EDM lovers who wanted to groove to their favourites ai??i?? Julius Voigtlander and Gregor Brechmann, the famous German duo of Jewelz and Sparks. Well-dressed ladies and dapper men took the dance floor by storm. 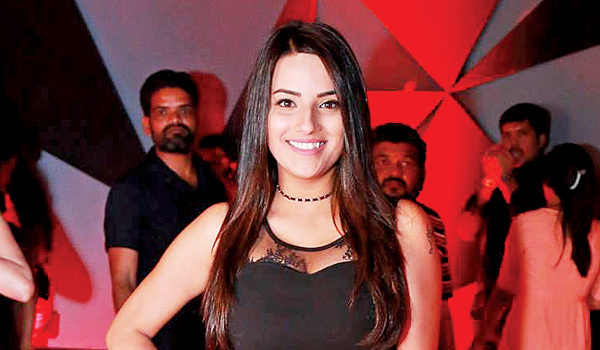 Spotted at the do was actor Jyoti Sethi in a well-cut black dress. A spectacular show of lights and sound-effects was the highlight of the night. 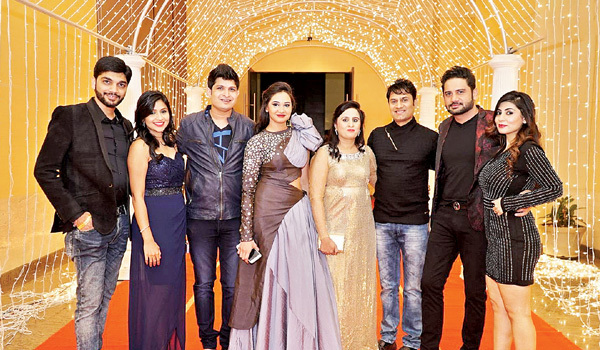 Meanwhile, socialite Geet Gupta celebrated her 40th birthday with her close bunch of friends at Ai? ?Tikki Shack. Ai? ?Dancing to live music, posing for the shutterbugs and enjoying some quality time with the girl gang ai??i?? thatai??i? 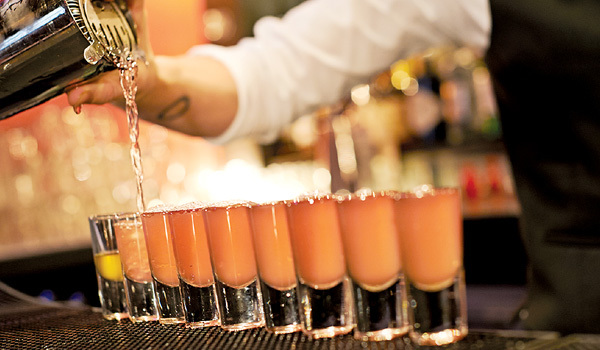 ?s how Geet and her friends wrapped up their year and the party.